My father used to laugh when people would talk about “the weather in California” as it it only had one type of weather or one type of landscape. 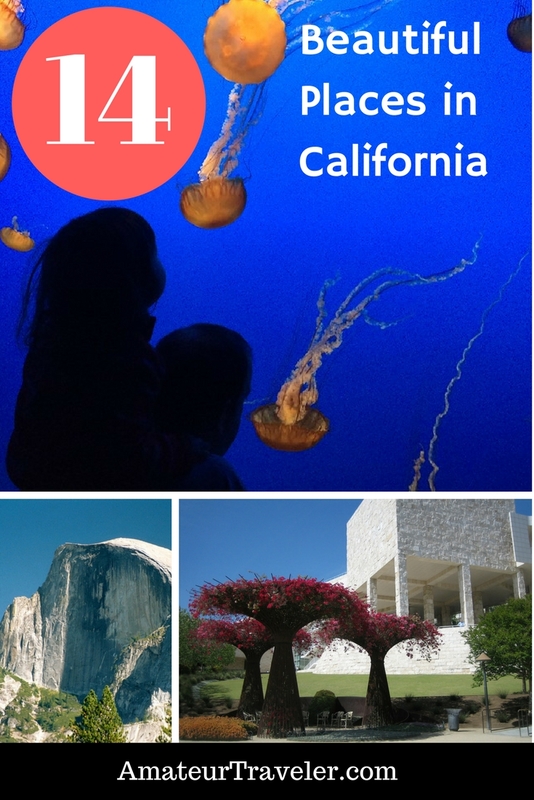 California has coastline and mountains, deserts and rainforests. 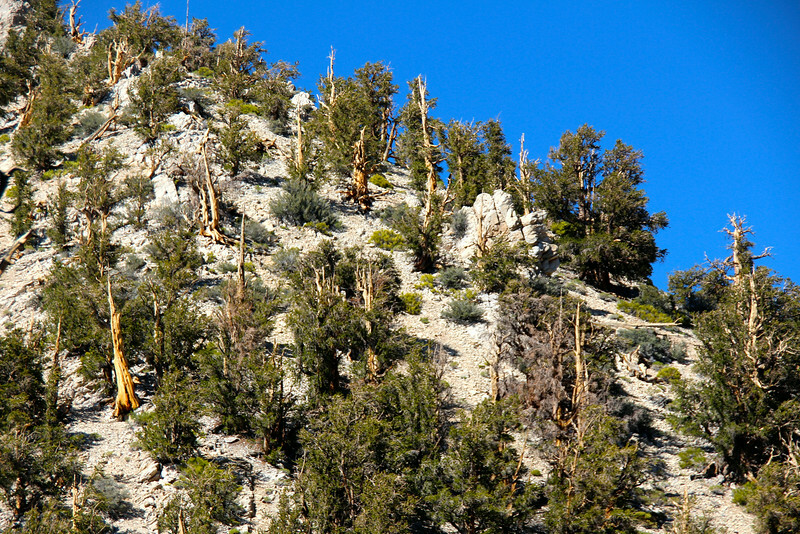 It has the highest and lowest points in the continental United States as well as the tallest, biggest and oldest trees. When you think about the wine country with its beautiful vineyards and wineries most people think about the Napa and Sonoma valleys north of San Francisco. They are indeed spectacular, but California has a number of different wine regions, each with their own charm. 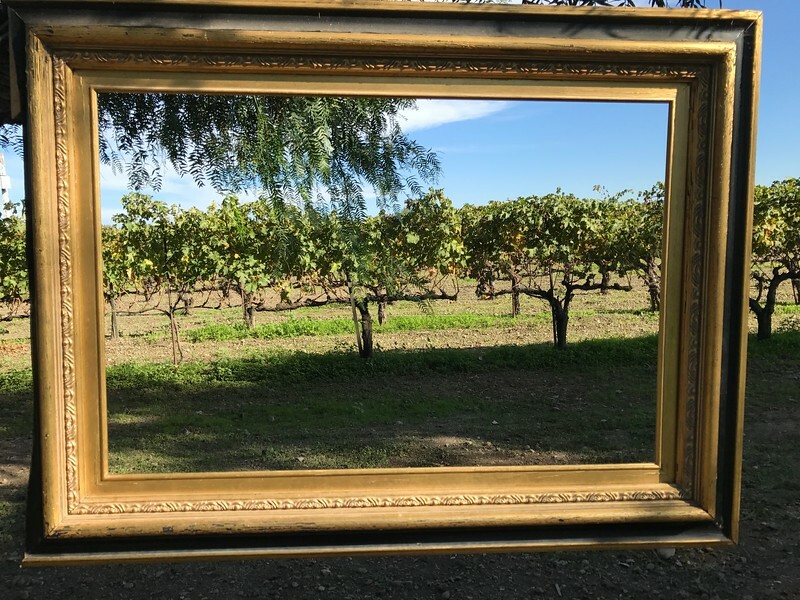 The central coast near Paso Robles, the hills of the Salinas Valley, the Santa Ynez Valley and yes even Lodi in the Central Valley all grow some great wine and offer vistas worth toasting. This particular picture comes from Retzlaff Vineyards in Livermore, which happens, I might add, to make a very fine port wine. 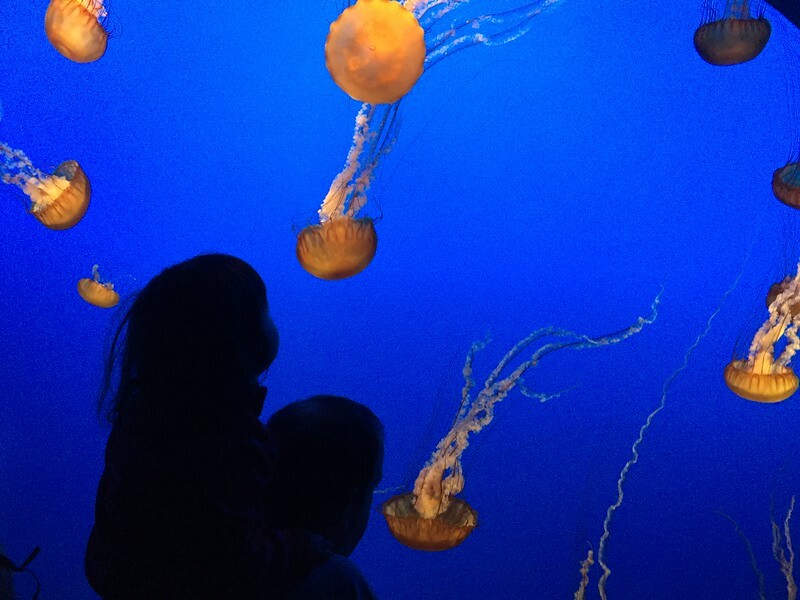 Yes aquariums are educational and fun, but the Monterey Bay Aquarium is also just beautiful. It is located on the scenic and historic Cannery Row in Monterey so the setting in an old sardine cannery is pretty great, but in addition some of the exhibits like the jellyfish are just visually stunning. Convict lake is not only a rather strange name for a lake but a pretty spectacular setting. The entire Mammoth Lakes area is quite pretty but this particular lake has some of the most interesting color in the jagged mountains that tower over it. The lake was named for a shootout between some escaped convicts and a posse in 1871. Nearby Mount Morrison is named after the only posse member to be killed in that shootout, Wells Fargo Agent Robert Morrison. 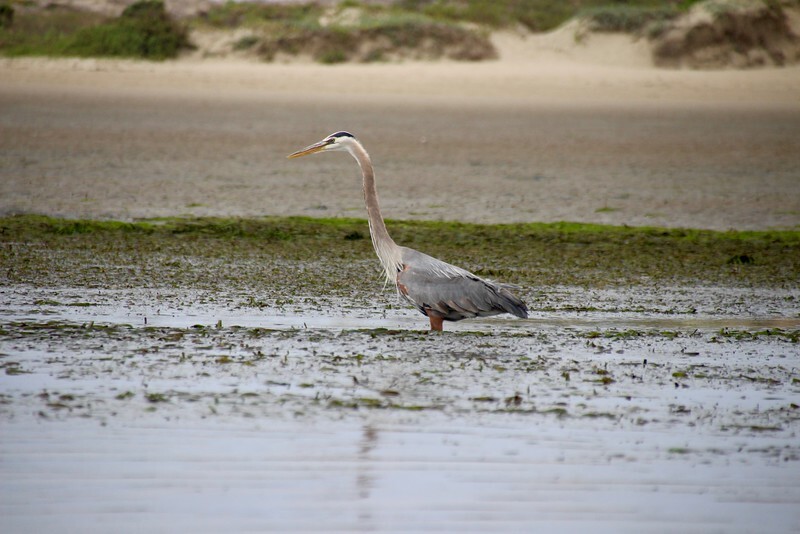 There are so many different places along the 656 mile long California coast where you can have great wildlife encounters. I could have just as easily mentioned the Elephant Seal Vista Point just north of San Simeon on highway 1 or the otters at Elkhorn Slough near Moss landing or the mule deer at Point Reyes National Seashore. One of the things that California has done a pretty good job at in recent days is preserving the wildlife along its coast. 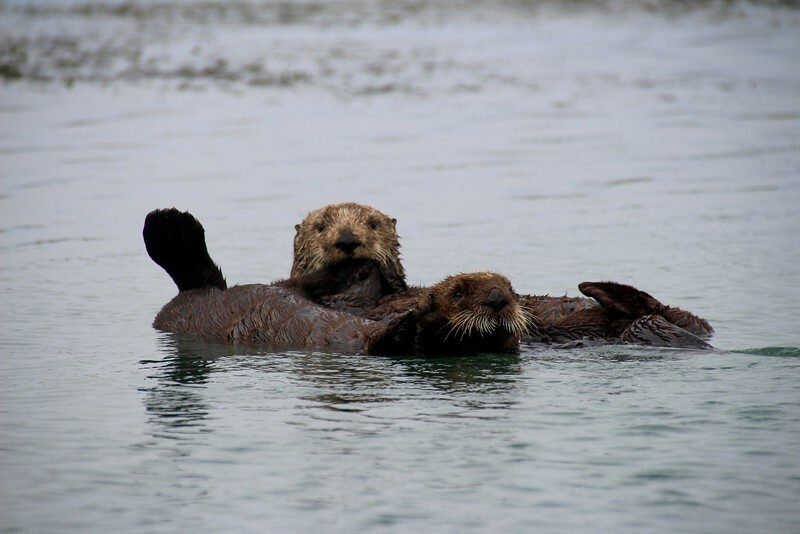 One of my favorite places to see otters and sea lions and sea birds is on a kayak in the very calm waters of Morro Bay. It is protected by a giant rock and a sandbar. It is a great place to get out with the wildlife with just a kayak, paddle and camera. 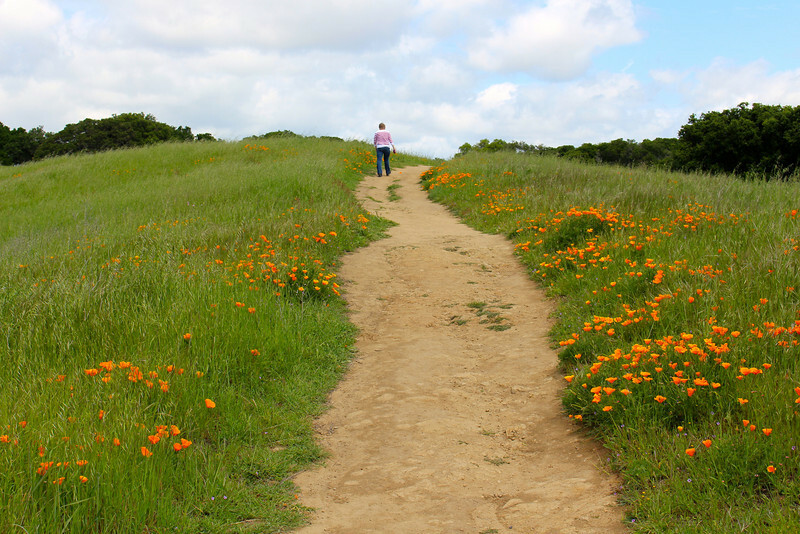 Read more at Central Coast of California Road Trip – Pinnacles, Parks, Pinot, and Paddling. California has some great state parks. It has 110 of them but one of my favorites is Point Lobos just south of Carmel on highway 1. 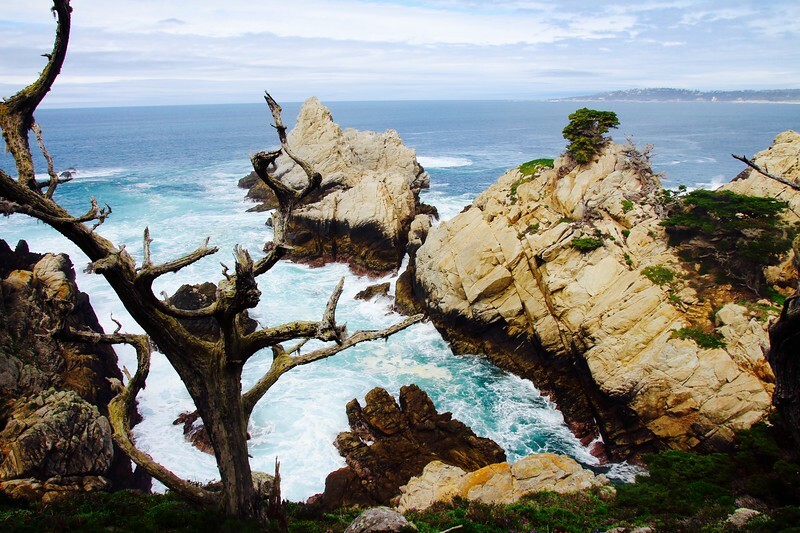 Much of the coast of central and northern California is rocky but between the Monterey pines, white sandy coves and stunning blue waters at Point Lobos is the rockiest craggiest gem of a park. 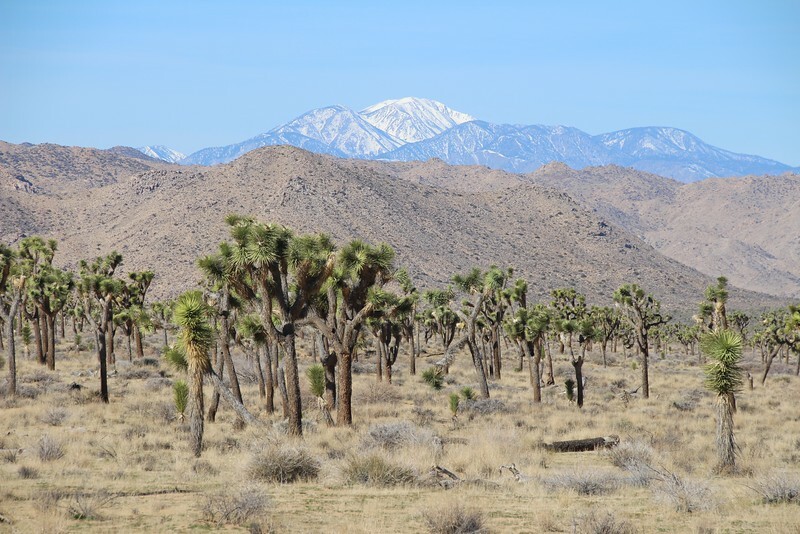 Joshua Tree National Park is a different kind of beauty from the coastlines and forests of the state. It is part of California’s starck desert beauty. The Joshua trees themselves look more like something the old Fuller Brush Man would have sold than any type of tree. In reality they are a type of yucca. When it comes to weird trees the bristlecone pine tree has to be mentioned. They are gnarled and bent, twisted and half dead looking. If you had drawn these as a tree in elementary school your art teacher would has gotten one of those sad smiles that she used to get (or was that just with me?). But you are looking at some of the oldest living things so show some respect. You probably won’t look half this good when you get to be 4000 years old. 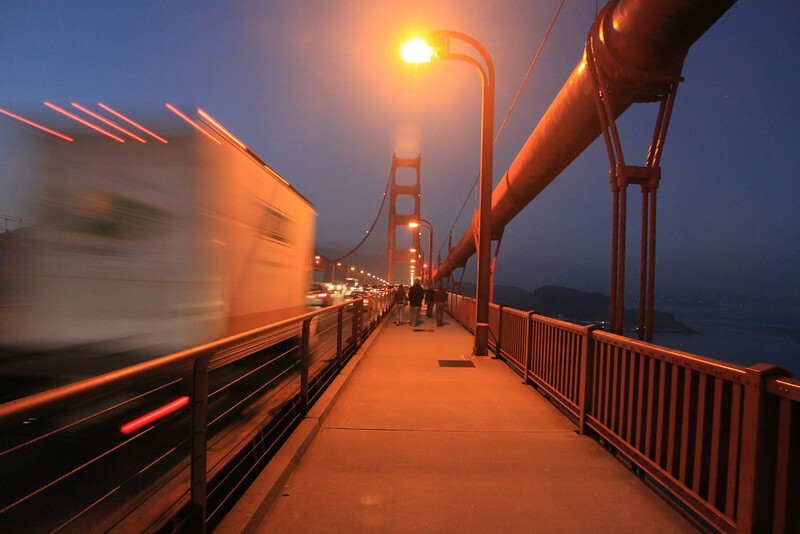 For man made beauty in California I would vote for the art deco Golden Gate Bridge. It is not just a pretty convenient place to have a bridge but it is an engineering achievement that should be enjoyed on foot as well as in the distance. Dress warm, no matter how nice the day may be because the weather can change quickly as the fog rolls in. 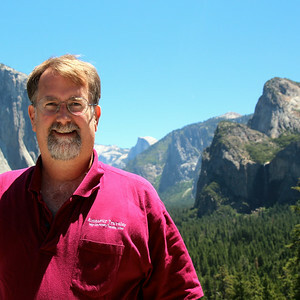 The United States has some of the world’s best National Parks, in my opinion, and if you are discussing which of them is the most visually spectacular, you at least need to include Yosemite in that discussion. 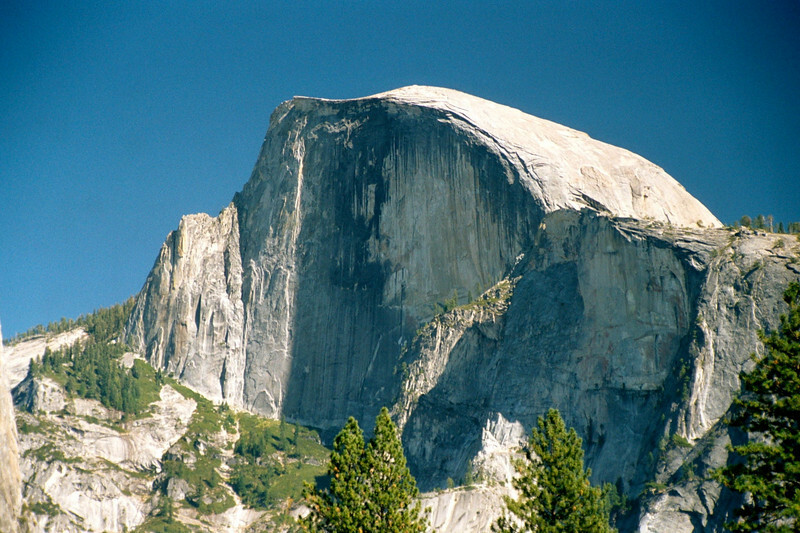 Whether you enjoy it from the crowded valley floor, from the spectacular lookout at Glacier Point or climb Half Dome, it is a place that you should see. 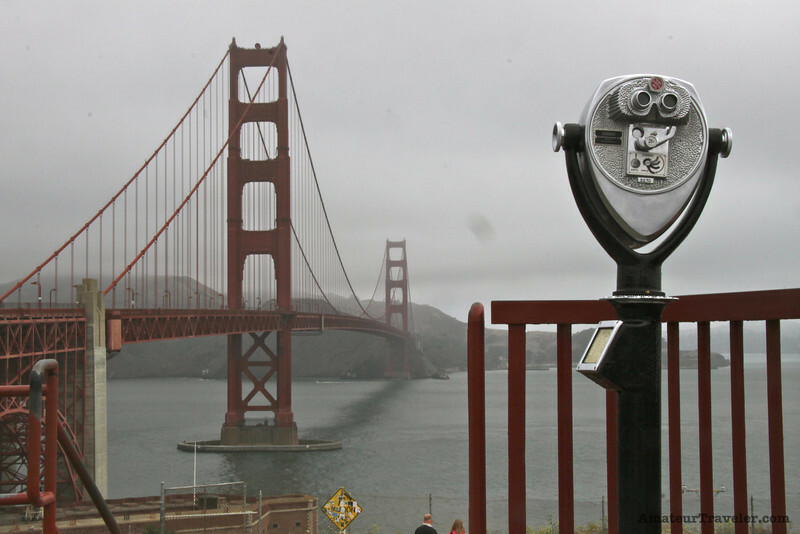 But preferably see it when it is not full of Summer tourists. The waterfalls are best in late spring but the park is even beautiful in winter when the waterfalls blow away with a stiff breeze but the parking lots are empty. 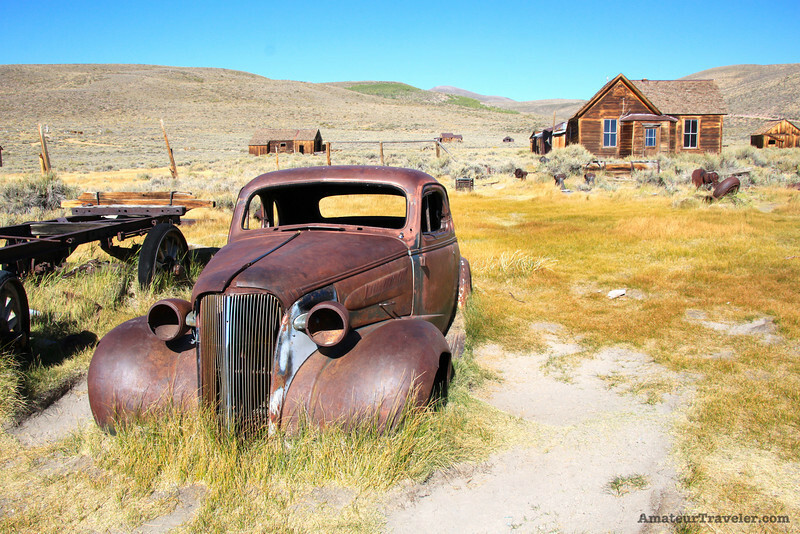 You have to like the beauty of old and discarded things, of ghost towns, to appreciate Bodie State Historic Park which is located not far to the east of Yosemite National Park and Tioga Pass. As a photographer I love this old abandoned ghost town. It is worth the ride over dirt roads to get there. California has some beautiful bays. 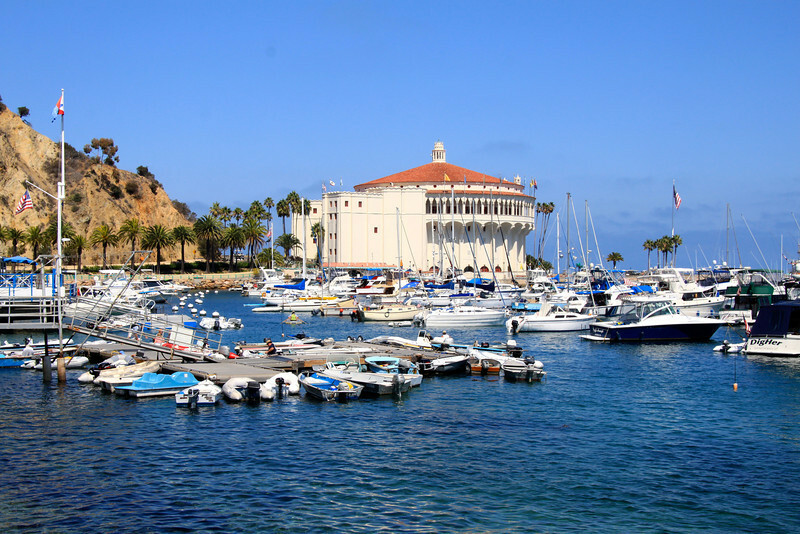 San Francisco, Monterey, San Diego and Long Beach would all be among my favorites but I would also give a nod to the beautiful city of Avalon on the island of Santa Catalina for both beauty and a calm respite from hectic Southern California. Read more at Travel to Santa Catalina Island, California – An Hour Away, A World Away. During the summer the hills of California’s central and southern coast turn “golden” (or you might say brown). But in the springtime they are not just a beautiful green but also come alive with wildflowers. This photo was taken at Helen Putnam Regional Park near Petaluma, California but it could just as easily been taken and any one of dozens and dozens of state or regional parks in the coastal range. 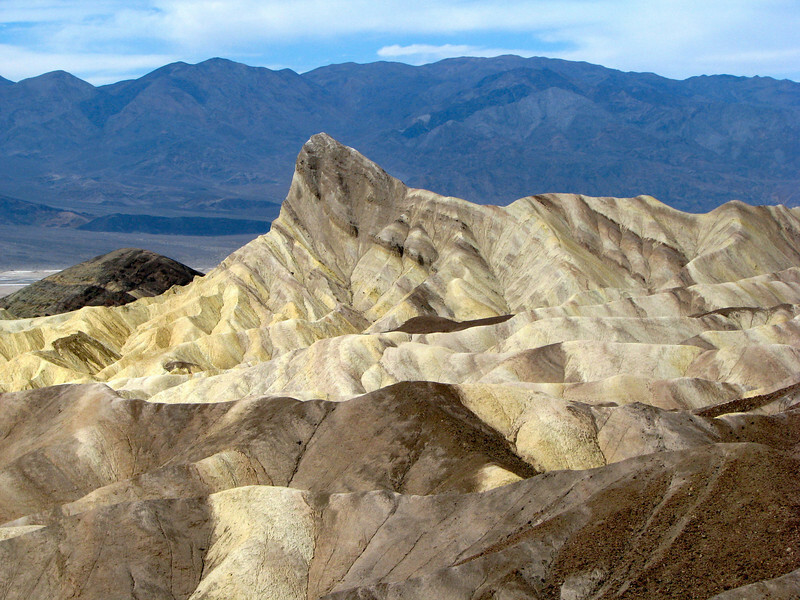 For a very different kind of beauty from the coastal hills in springtime visit Death Valley. 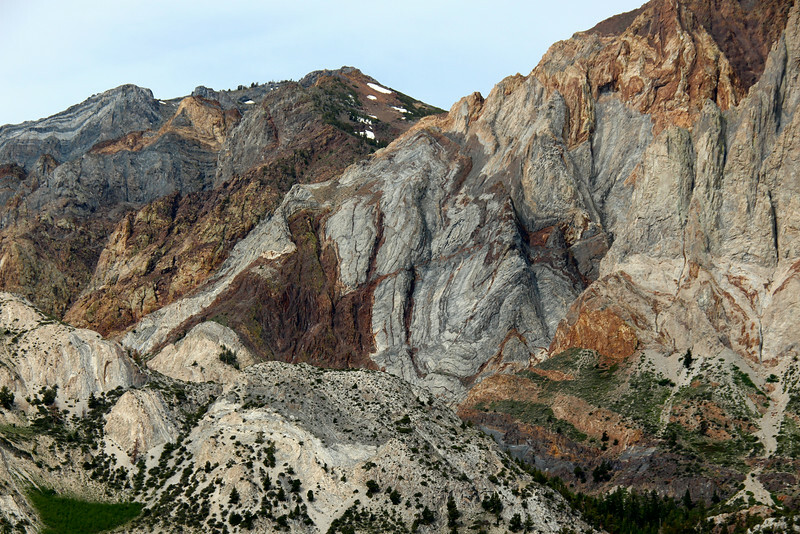 You can visit it in spring when the wildflowers are in bloom but you can also just appreciate the very stark beauty of this rugged landscape. Some like visiting in the heat of the summer but I think I prefer a January day like when I took this photo. 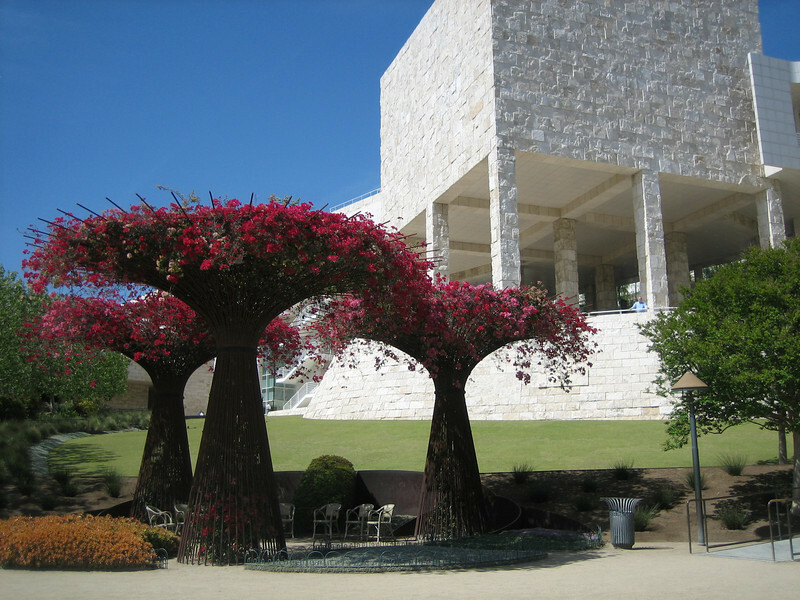 The Getty Center above Los Angeles is the most beautiful museum and museum setting in California and I would be hard pressed to think of a more beautiful museum anywhere in the world. 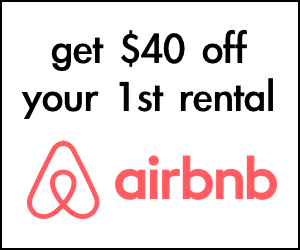 It has a spectacular view of Los Angeles and Santa Monica. It is not, I should add, my favorite art museum in terms of its collection although that’s fine, but this free museum is itself a work of art. This list is not even close to exhaustive. It does not show any redwood trees. It does not show the beautiful dormant volcanoes of Mt Lassen or Mt Shasta. It does not show you the Victorian architecture of Ferndale or Pacific Grove. It does not show you a single waterfall or geyser. It does not show you a beach. Of all the things I left off, what would be your addition to this list that might surprise people?